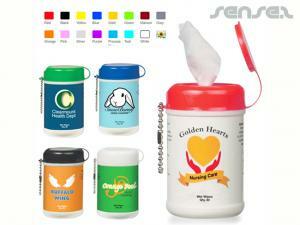 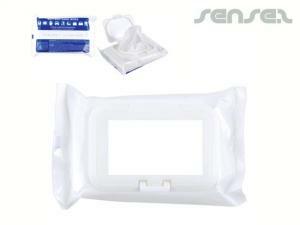 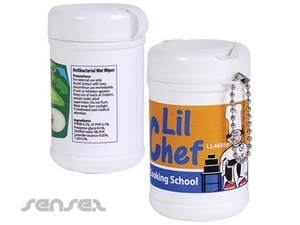 Nothing suitable in promotional antibacterial wipes? 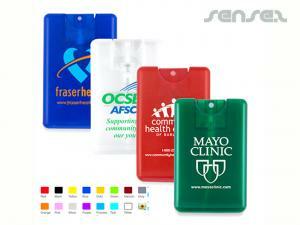 How about custom branded medical purpose items, logo printed corporate printed tissues or one of our promotional first aid kits? 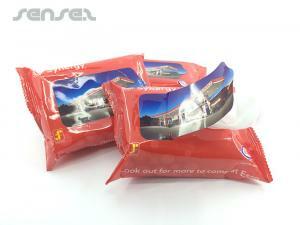 Antibacterial wipes are ideal for office promotions, travel promotions and shopping centre promotions. 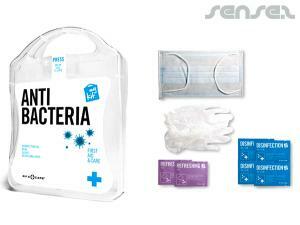 We all need antibacterial wipes in our cars and especially with super bugs and flu's they are a much more used product than they used to be in the past. 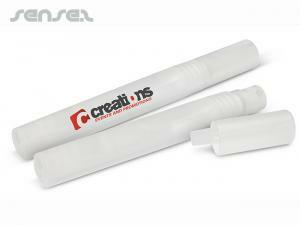 Our innovative range of custom printed promotional Antibacterial wipes in single packs or multiple packs of 10 or more includes, Antibacterial tissues, Antibacterial wipe boxes, antibacterial hand sanitizer gels with your own logo print on the bottle. 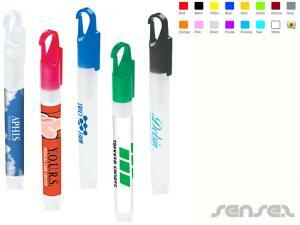 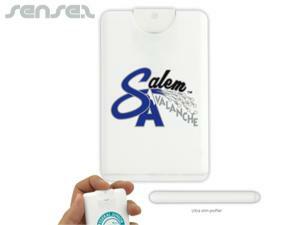 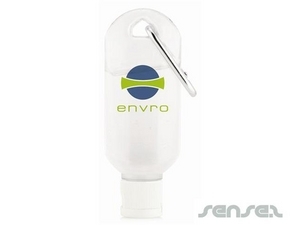 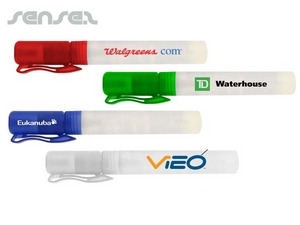 Ideal for the handbag are the antibacterial pocket sprays with your corporate logo print. 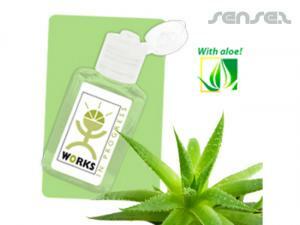 Antibacterial sprays are great for traveling and preventing the spread of dangerous bacteria and germs. 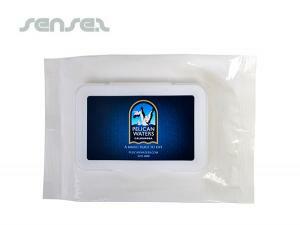 These marketing logo branded wipes will help protect your customers and make a wonderful give away that will be used for some many months. 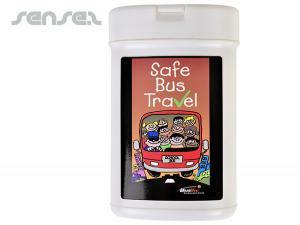 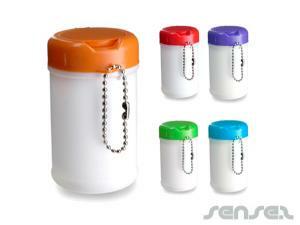 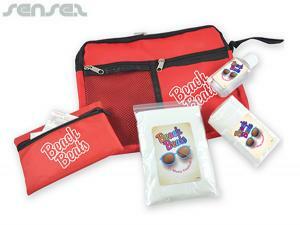 Antibacterial wipes are ideal for traveling promotions or just for the car.